Questions to consider before renovating your kitchen! Many people simply do not know where to start when you begin to think about looking to do a new kitchen renovation. Who should I speak to? Should we do the floor first? Should I buy my appliances then design around the appliances, or do we design the kitchen and then buy appliances? What is on trend at the moment? What colours and textures will work best for my needs? What bench tops should I have? Do I need building work done such as a wall removing? Who should I work with to help me? The simple answer to these questions, is to work with someone you can trust and can project manage your kitchen renovation for you. A good kitchen designer will ask you many, many questions, such as: Who will use the kitchen? How many people live in the house? How often you cook? What types of food you cook? How often do you shop? Is natural light important? Are you looking to sell/rent the property out in the future? Etc etc. Only when a designer has answers to these questions can you begin to think about how the kitchen should look, and even more important, how the kitchen should function. Many people think that if you have a rental property a cheap kitchen is the best way to go as long as it looks good. However, if you spent an extra couple of grand you would get a far better, stronger kitchen which would last far longer than a cheaper flat pack / DIY kitchen saving you more money in the long run and giving you a fantastic looking kitchen which could even mean you achieve a higher rental return. Again, a good kitchen designer will help you with these thought processes if you are open to advice. Your designer will also help you decide the best place for your appliances. Where should your cooktop go? When you plate up your food, how many plates do you need? 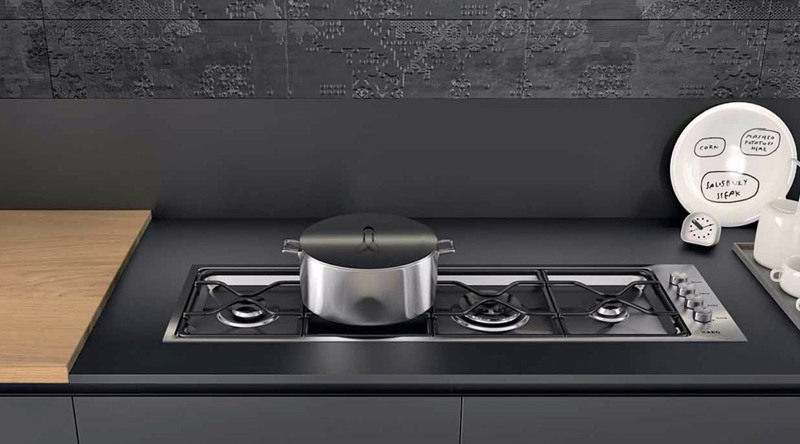 The designer needs to allow for adequate space to achieve this comfortably, close to your cooktop. Where should your oven go? Many people assume that the oven should be under the cooktop, however as kitchen trends change over the years, we are more and more putting ovens up high to give us easier access to get in and out of the oven rather than bending down and being hit with a wall of heat. Ovens up in a tall cabinet are becoming the norm now and are great for the ‘mature’ generation as well as families with young children that don’t want hot surfaces within reach of a small child. Where should a microwave go? Do you even need one? Whilst families with small children are very dependent on a microwave, more and more now microwaves are no longer needed. Steam ovens can do a similar job to a microwave and give you healthier food. What sort of rangehood should I have? Should it be a canopy hood or an integrated hidden hood in a cabinet? What extraction speed do I need? This can depend on what sort of food you cook and what smells you create to determine the power you need from your extraction rangehood. Where should the fridge go? Large fridges are now the norm for families to keep our food fresh, especially in tropical climates like ours. ​Your designer will sit with you and work out the best place for your fridge – sometimes close to your food preparation area, sometimes close to the edge of the kitchen so the chef is not disturbed when someone else wants to get a drink out of the fridge. All of the above is important to think about when doing a new kitchen, which is why a good kitchen designer is so important to work with in your renovation project. A good designer is the difference from having an ok/acceptable kitchen, to having an AMAZING beautiful functioning kitchen.